Urban Alchemy: This cozy Downtown Arlington hideaway is also a great venue for a traditional romantic outing—but never fear, Galentines, Urban Alchemy is thinking of us too, as evidenced by the fact that they’ve planned a very special Galentine’s Day event where guests will make beautiful fresh floral arrangements while enjoying lively conversation and the full range of the Urban Alchemy menu. (Mon., Feb. 11 at 6:30 p.m.) Tip: Urban Alchemy recently added an “Elixir” section to the menu, and I definitely recommend trying out their yummy take on the classic Old Fashioned: Texas sake, dark simple syrup, orange bitters, aromatic bitters, and a Luxardo cherry. Symphony Arlington: “Heart Strings” features music from the Oscar-winning score of “The Red Violin”, performed on the symphony’s home court at Arlington Music Hall (Thurs., Feb. 14 at 7:30 p.m.). Arlington Music Hall is one of my favorite destinations for live music performances—I love the charming vintage ambience—plus the parking is convenient, the plush seats (the result of a recent renovation) are super comfortable, and there’s really not a bad seat in the house—three things I look for in an entertainment venue. 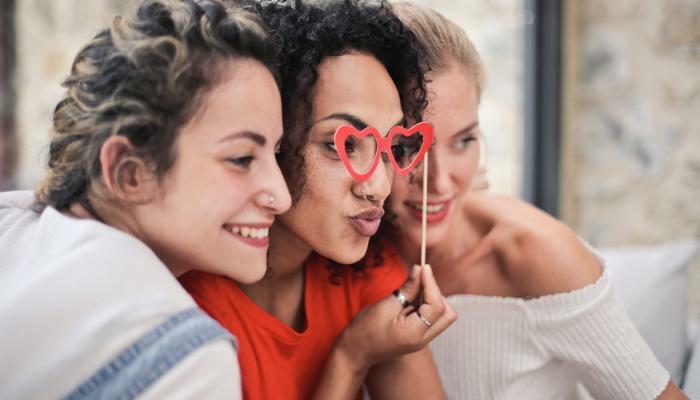 Tip: Keep the Galentine’s love going afterwards with a late-night bite or cocktail at a Downtown Arlington or Urban Union watering hole—three of my after-hours favorites are The Tipsy Oak, 4 Kahunas, or Hooligan’s Pub. Spa Pangea: Women sometimes struggle with the notion of treating ourselves, but I say we totally deserve a luxurious afternoon or evening filled with Spa Pangea’s famous massages, facial treatments, pedicures and more, catered en suite if we fancy by the on-site Daireds Café. Tip: Check out the boutique while you’re there—the Pangea trio of body wash, cream and scrub is one of my all-time favorite skin care products, hands down. Painting at the Palace: Join our friends at Ripley’s Believe it Or Not! for the second annual Painting at the Palace, one tickets gets you two drinks, one-hour worth of Valentine’s Day painting, access to all five attractions, a 6x8 photo and light snacks. You must purchase tickets online to reserve tickets, so get them here. Board & Brush: Paint your own Valentine’s-themed wooden sign while enjoying bites and beverages at the Valentine Quickie Craft class (for kids and adults; Sun., Feb. 10 at 2 p.m.) or the Valentine’s Date Night Workshop (for couples; Thurs., Feb. 14 at 6:30 p.m.).